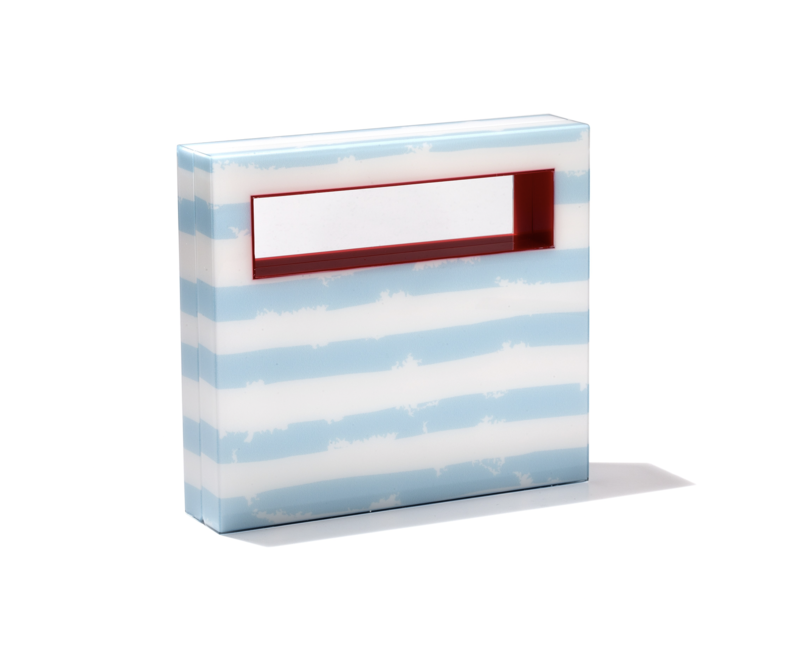 This plexiglass minaudiere featuring a cut out designed for easy grip, is a perfect day to night clutch for all occasions. Designed to fit the essentials including all phone sizes, keys, credit cards, and cash. Interior is lined in Italian leather and includes a pocket for credit cards and cash.